We awoke to a beautiful cool morning around 53 degrees and had a good breakfast. Our RV was warm and comfortable. 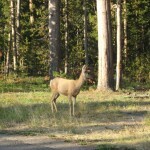 As we opened the door to go out for a walk, a beautiful deer was close to our front door. 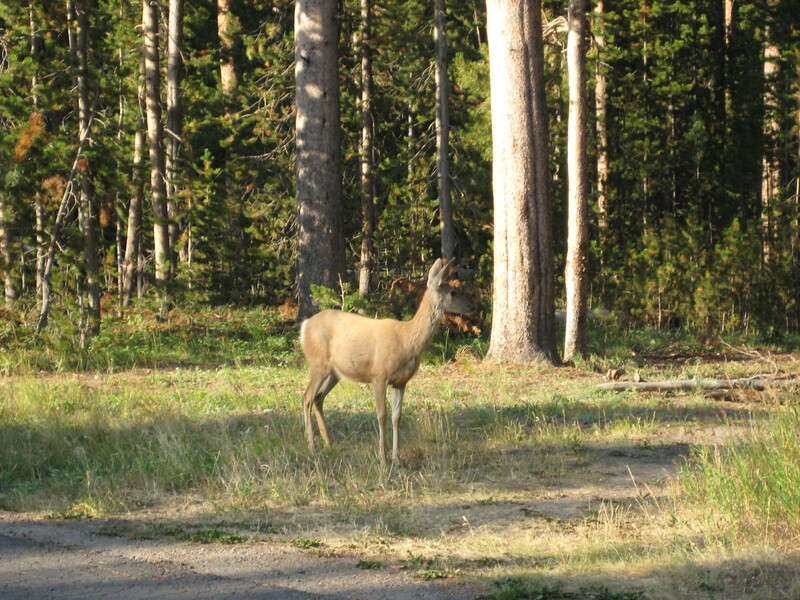 She was walking quietly through the campground. 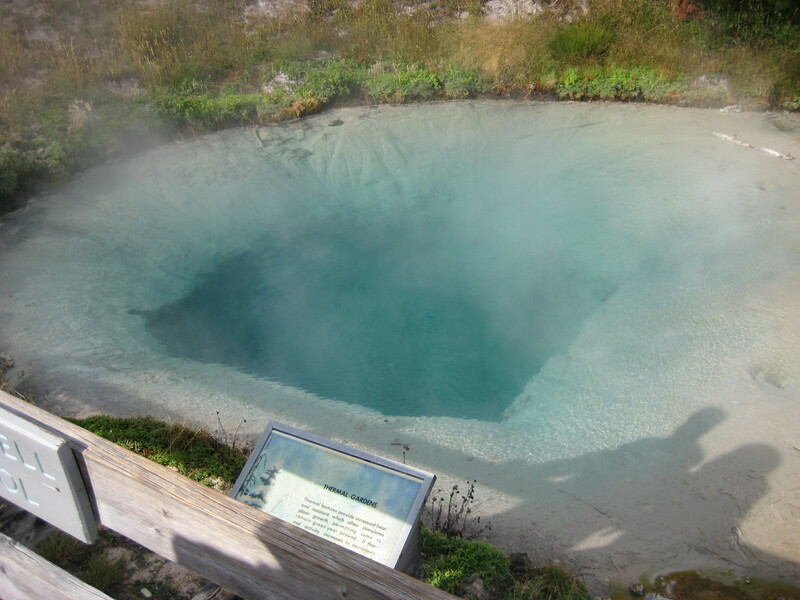 We left the campground around 8:30 a.m. Our route today was called the “lower loop” which was 96 miles of geysers, bubbling crystal pools, mud pots, etc. 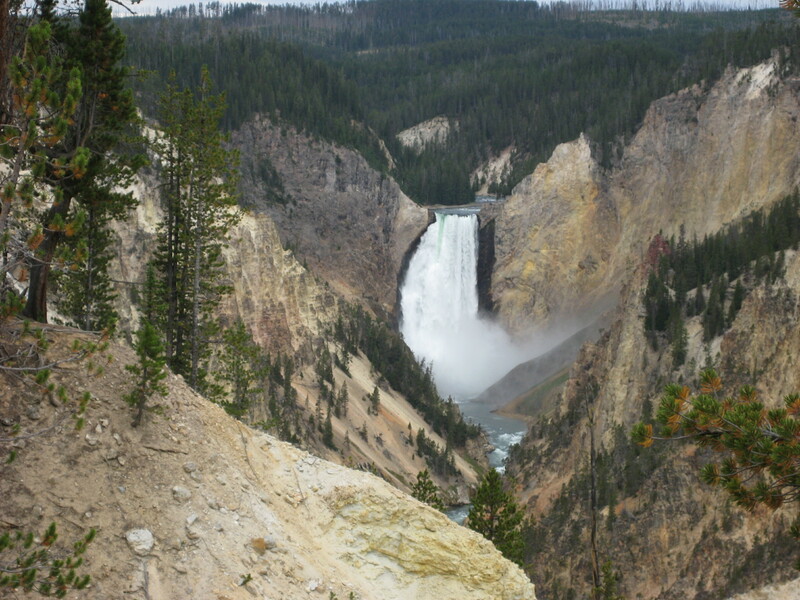 One of our biggest surprises since arriving here is how large Yellowstone Lake is. It is massive and looks like an ocean, with big waves and beautiful blue water. We saw beautiful waterfalls, and stopped at Old Faithful. 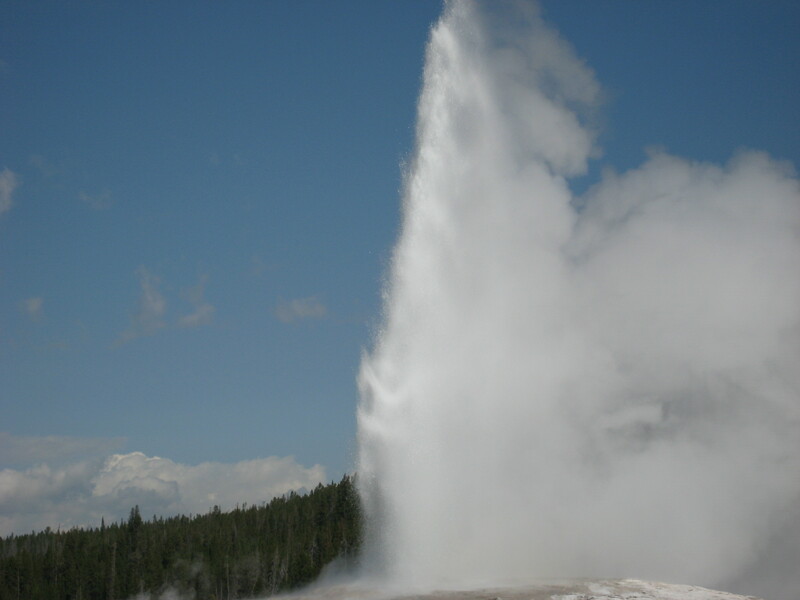 We arrived around 11:30 a.m. and Old Faithful was due to erupt at noon. 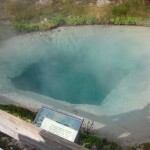 It erupts approximately every hour. 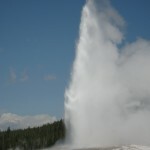 Sure enough, around noon, Old Faithful erupted to cheers from the crowd. The temperature was cool and it was interesting to see and hear all the foreign visitors. We decided to have lunch right there in the parking lot before continuing our drive. 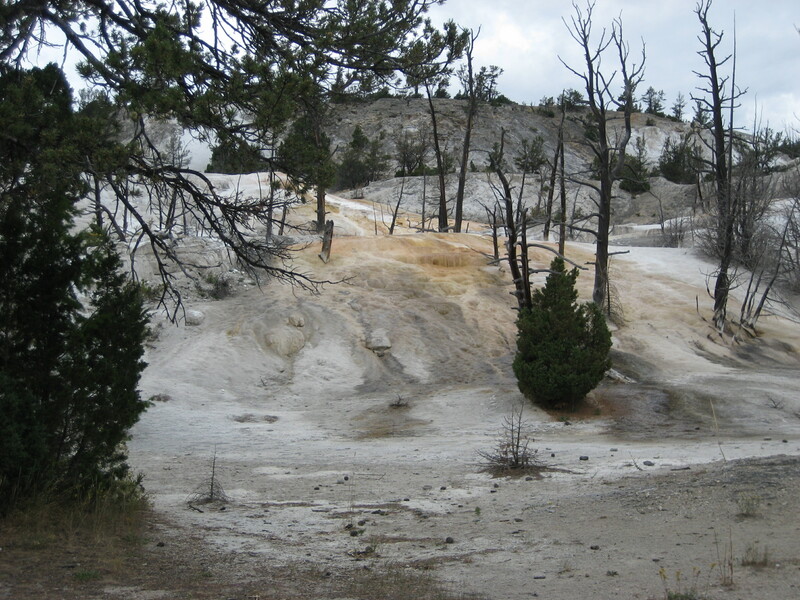 After lunch we continued on the loop drive through Biscuit Basin, Midway Geyser Basin, Fountain Paint Pot, Artists Paint Pot, Mud Volcano, and Sulphur Caldron. These were all very interesting sites and it is impossible to put into words how strange and beautiful these areas are. 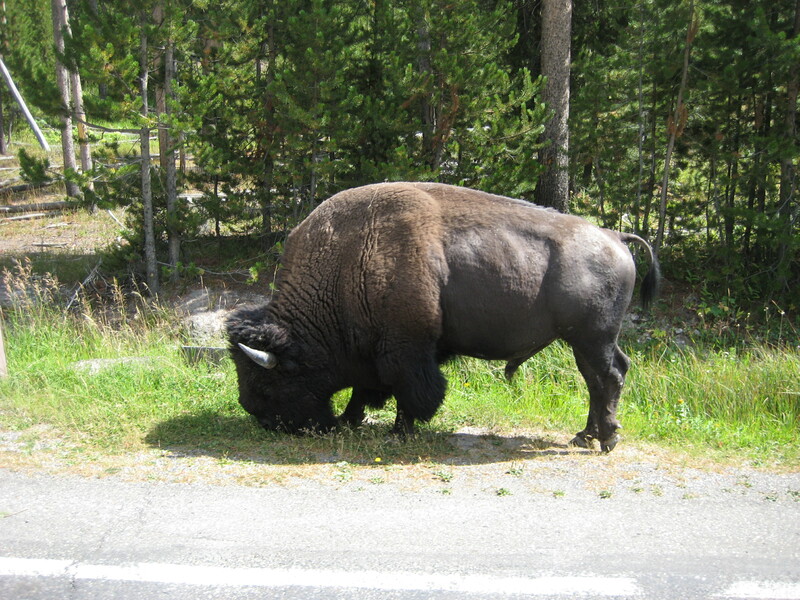 While driving on this road, we came upon several buffalo grazing close to the road. 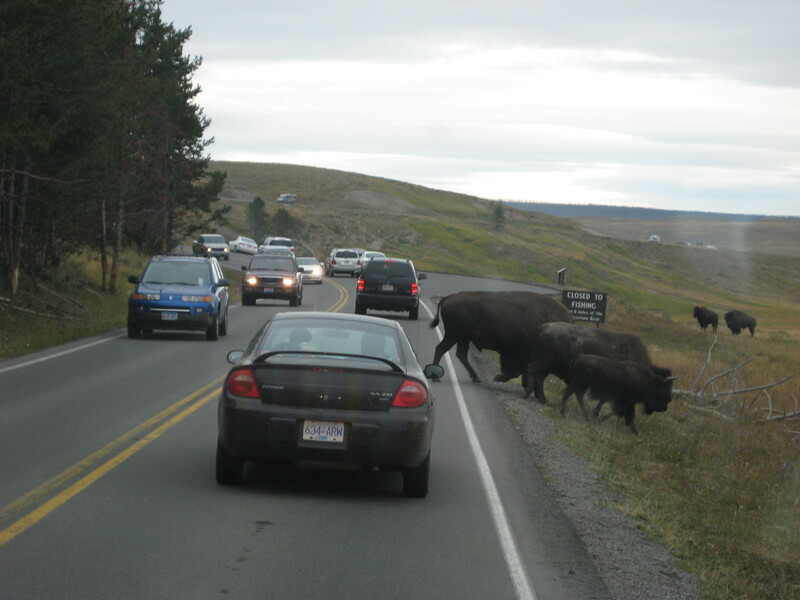 At one point, a herd of buffalo crossed the road and all the traffic stopped both ways to let them cross. 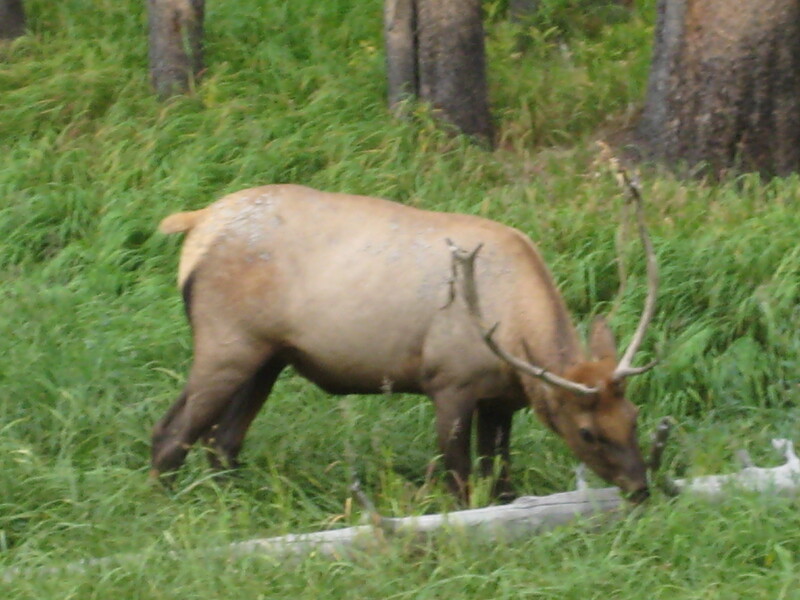 We also saw a magnificent elk in a meadow. That was quite a site. We arrived back in our campground around 4:00 p.m. We had a very interesting day. 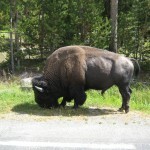 Found cell phone service near Old Faithful so we called both Allan and Ben to check in. For dinner tonight we had a ground beef and rice casserole from home, asparagus, and corn. We think tonight is going to be very cold due to how cool it has been today. Tomorrow we will drive the 70 mile “upper loop” road which encompasses Mammoth Hot Springs, Roosevelt Lodge, and Hayden Valley, where we should see a lot of wildlife.